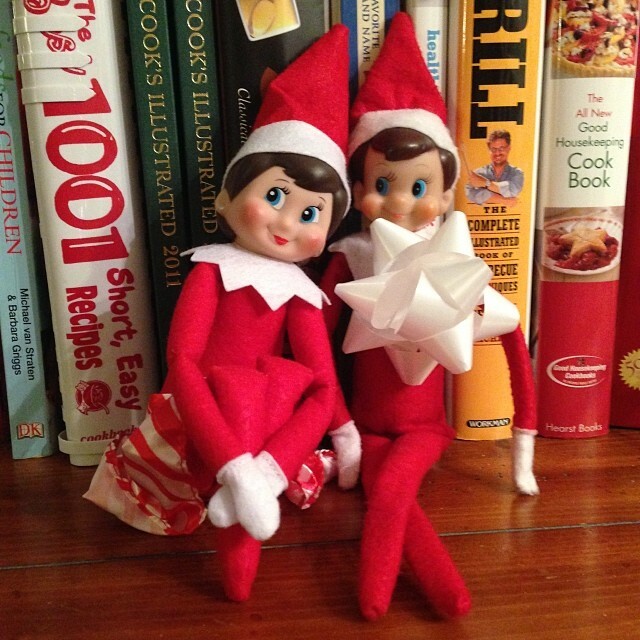 I thought the next two or three Friday’s, I will share what antics Elfie and his sister Samantha have been up to at our house. I thought a couple posts would be better then daily posts, that way if you feel like using any of these they are easier to find. Also, I post these on Instagram first, so if you aren’t following me on Instagram yet, click HERE to follow me! 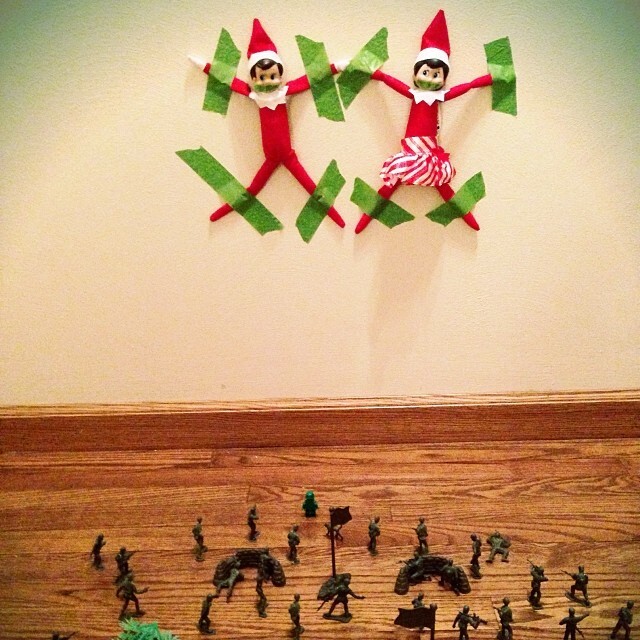 So, what has Elfie (and Samantha Elf) been up to at our house?!! 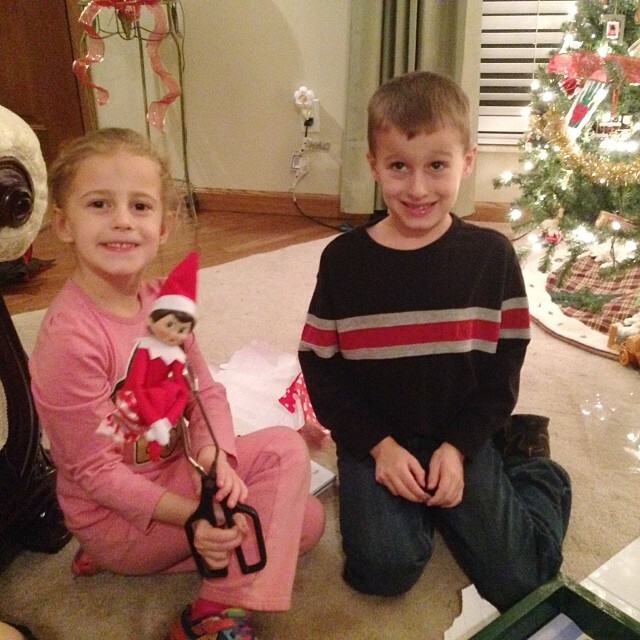 They opened it and found a GIRL elf – Elfie’s sister! We pondered over a few names and finally decided upon a name Autumn selected, Samantha! See how she is holding her with salad tongs? She is following the ‘no touch’ rules! This year Autumn is REALLY into the elves, but I have a feeling that this is Nathan’s last year of believing by a few things he has said. 🙁 Nathan had a really good year with Elfie last year, he even cried when he left and we had to put a picture of Elfie on his dresser… which is still there! 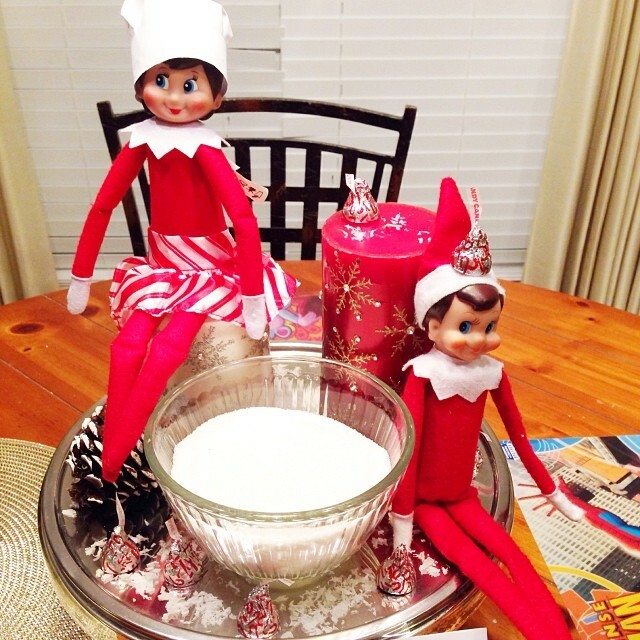 Meet Elfie and Samantha Elf! 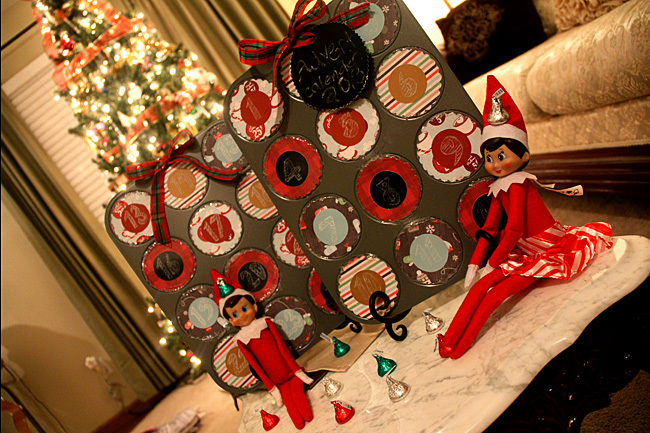 Then, on December 1st, they brought the Chalkboard Advent Calendar. Every day there is either an activity, candy or money in the tins. 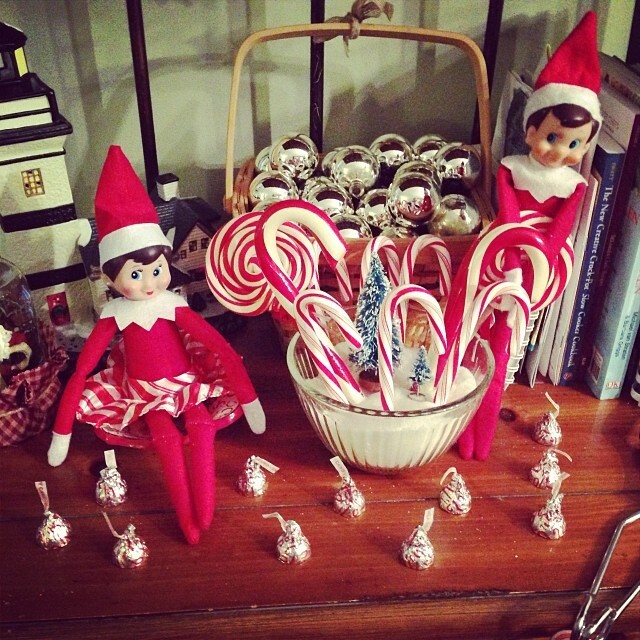 They Elves brought candy cane seeds (kisses) to plant into the sugar. The next day the seeds grew into candy canes!!! 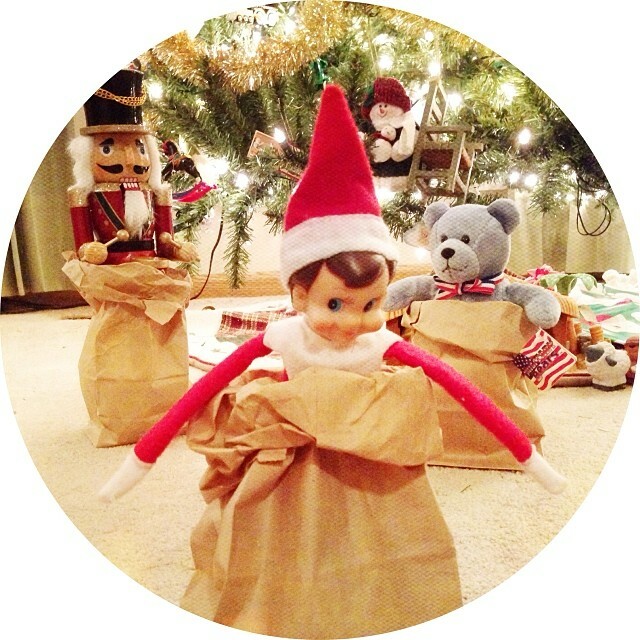 Elfie wins a sack race against some of Nathan’s stuffies and his nut cracker. 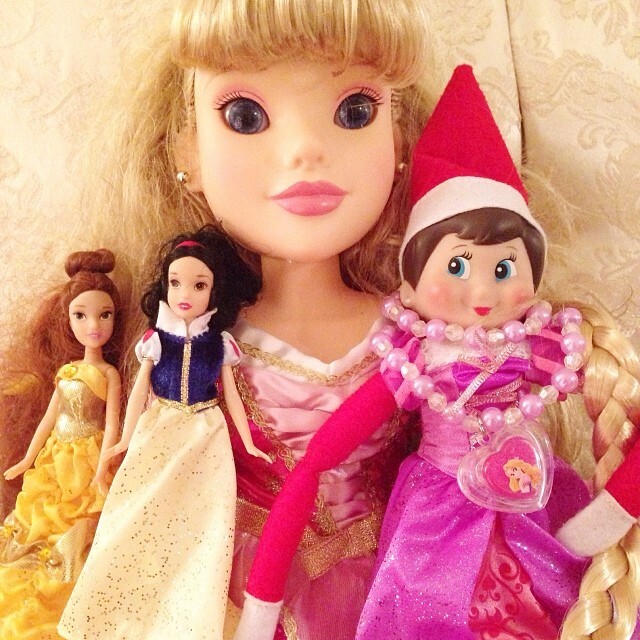 Samantha Elf dresses up as Princess Rapunzel, the other princesses come to visit with her. On the eve of St. Nick’s Day, the kids set out their boots and found many treasures in and around them the next morning. Christmas PJ’s, candy, Christmas movies (I add to their collection each year), socks, fruit and a small toy. Then, on the last day at our house before traveling to Grandma’s house for a week (these elves have to make sure the kids are good everywhere! ), the elves brought a gingerbread village to decorate. You can find out more about our gingerbread decorating party here. 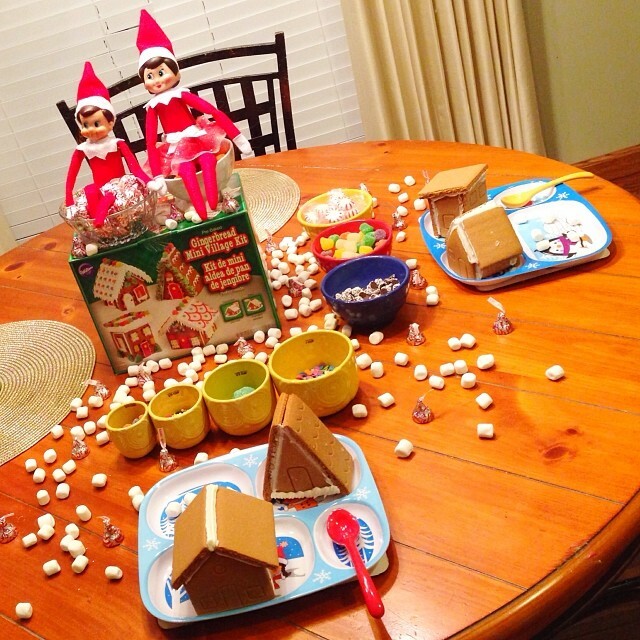 And then, just like that…Elfie and Samantha Elf were off to Grandma’s house for the week! 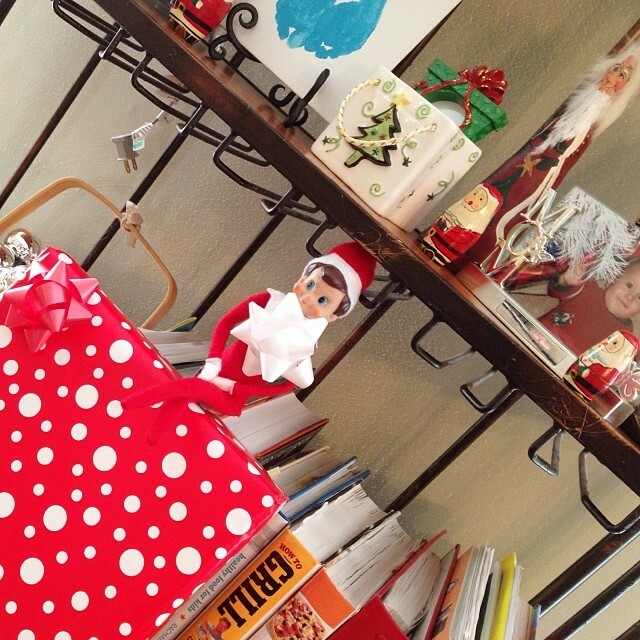 Which, sorry… I don’t have any photos from her house, but I needed an Elfie break! LOL!